During alcoholic fermentation, Lalvin BM 4x4 releases a significant quantity of parietal polysaccharides, including certain molecules that have the remarkable ability to bind and stabilize the polyphenols in the must. This increases the stability of the color and systematically lowers the astringency of the tannins. The quantity and the quality of the polysaccharides released during fermentation, followed by yeast cell autolysis, facilitate the production of red wines that respond to consumer expectations. 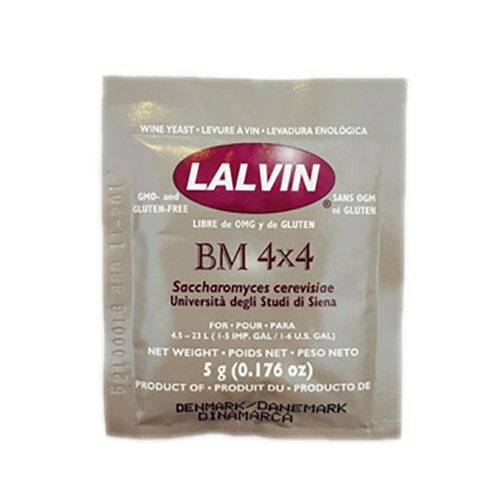 Lalvin BM 4x4 also increases roundness in white wines and can also help with the onset of malolactic fermentation.